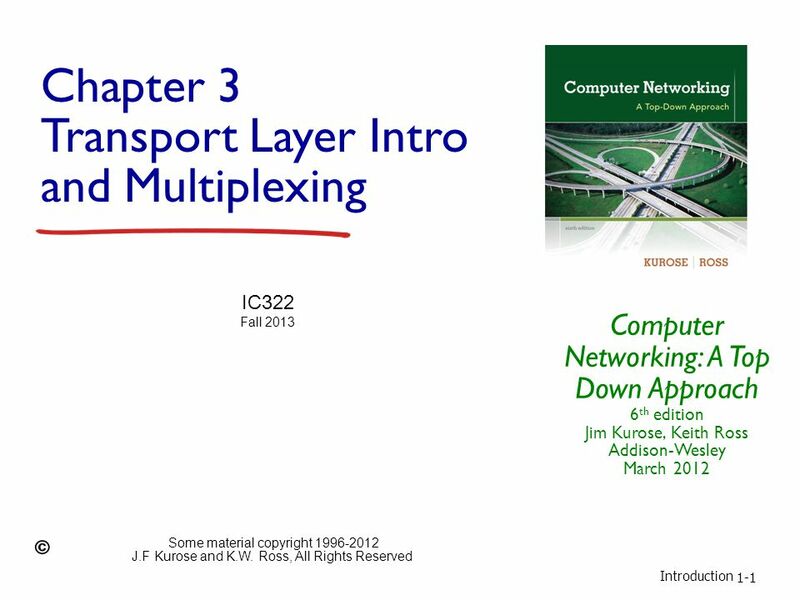 Introduction 1-1 Chapter 3 Transport Layer Intro and Multiplexing Computer Networking: A Top Down Approach 6 th edition Jim Kurose, Keith Ross Addison-Wesley. 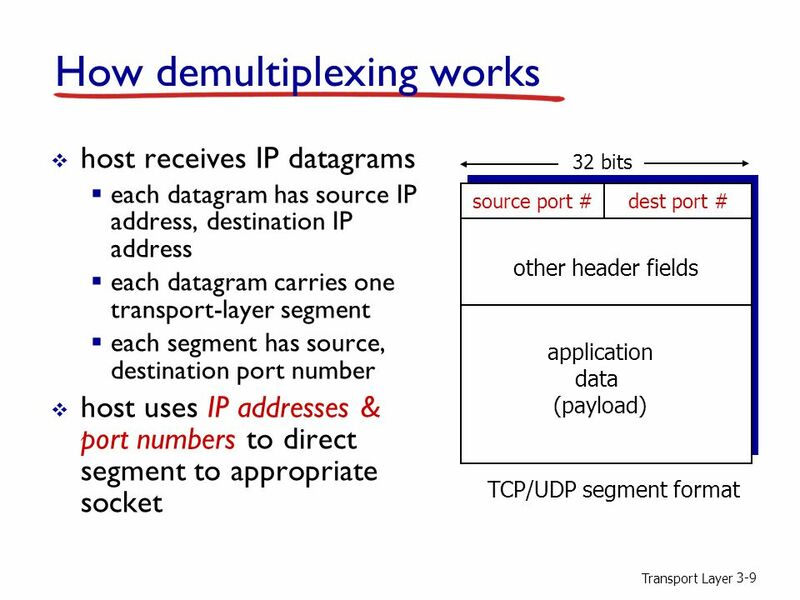 Download ppt "Introduction 1-1 Chapter 3 Transport Layer Intro and Multiplexing Computer Networking: A Top Down Approach 6 th edition Jim Kurose, Keith Ross Addison-Wesley." 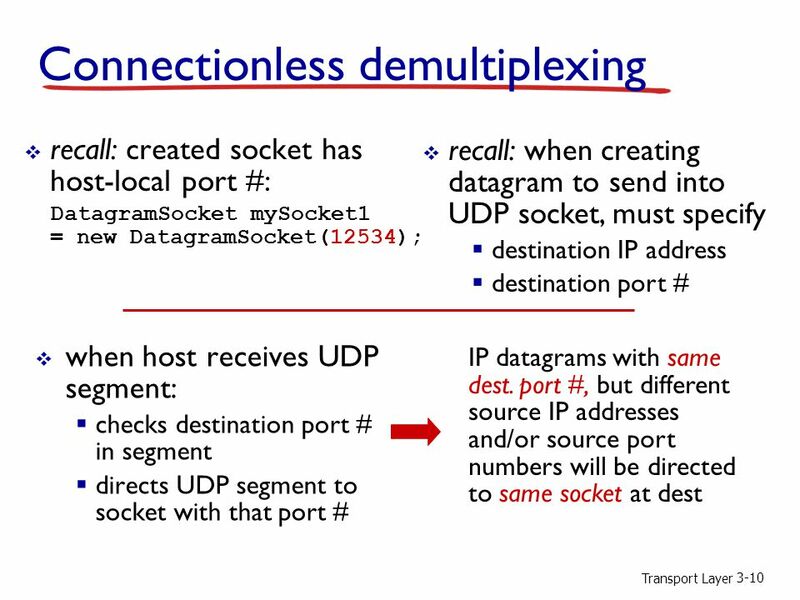 Multiplexing/Demux. 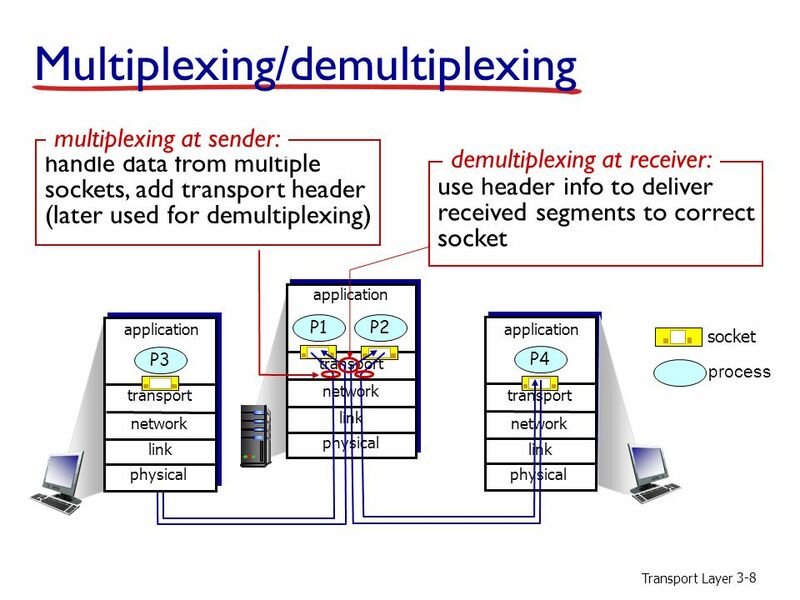 CPSC Transport Layer 3-2 Multiplexing/demultiplexing application transport network link physical P1 application transport network. 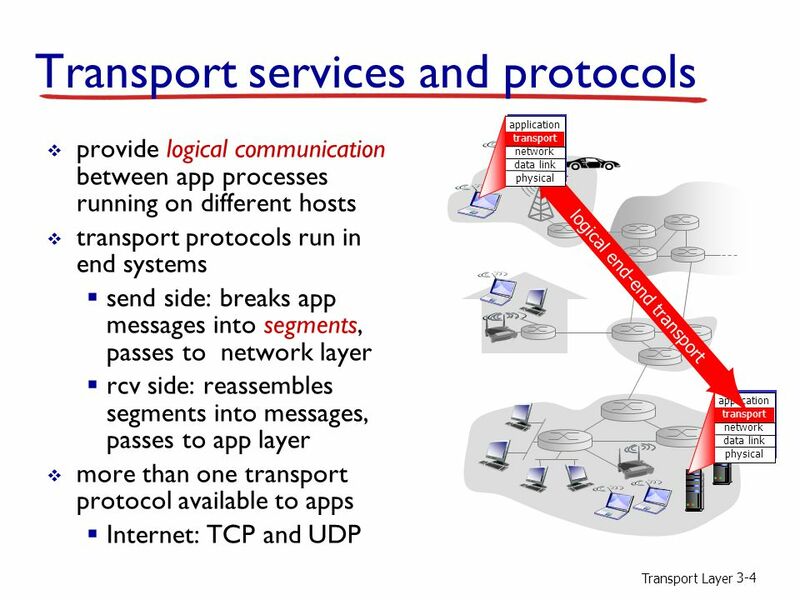 Transport Layer 3-1 Transport services and protocols  provide logical communication between app processes running on different hosts  transport protocols. EEC-484/584 Computer Networks Lecture 12 Wenbing Zhao (Part of the slides are based on Drs. Kurose & Ross ’ s slides for their Computer. Some slides are in courtesy of J. Kurose and K. Ross Review of Previous Lecture Electronic Mail: SMTP, POP3, IMAP DNS Socket programming with TCP. EEC-484/584 Computer Networks Lecture 14 Wenbing Zhao (Part of the slides are based on Drs. 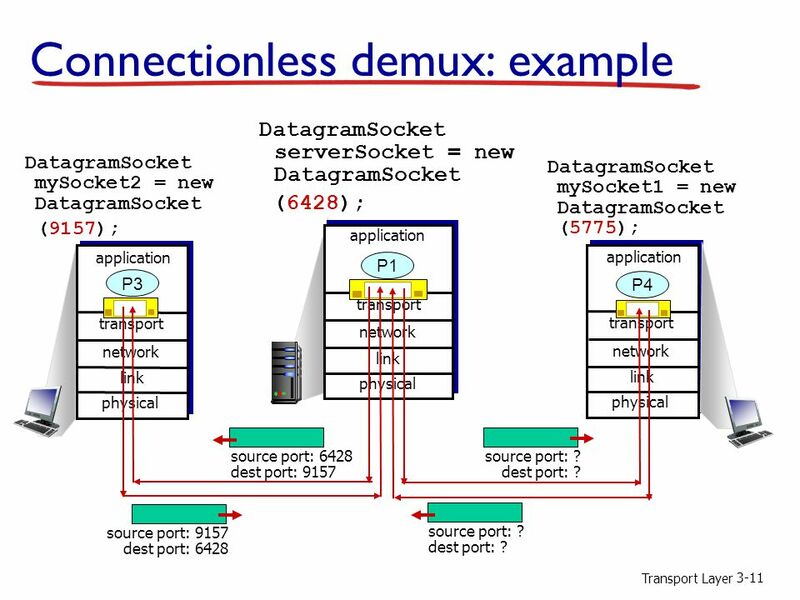 Kurose & Ross ’ s slides for their Computer. EEC-484/584 Computer Networks Lecture 6 Wenbing Zhao (Part of the slides are based on Drs. Kurose & Ross ’ s slides for their Computer. 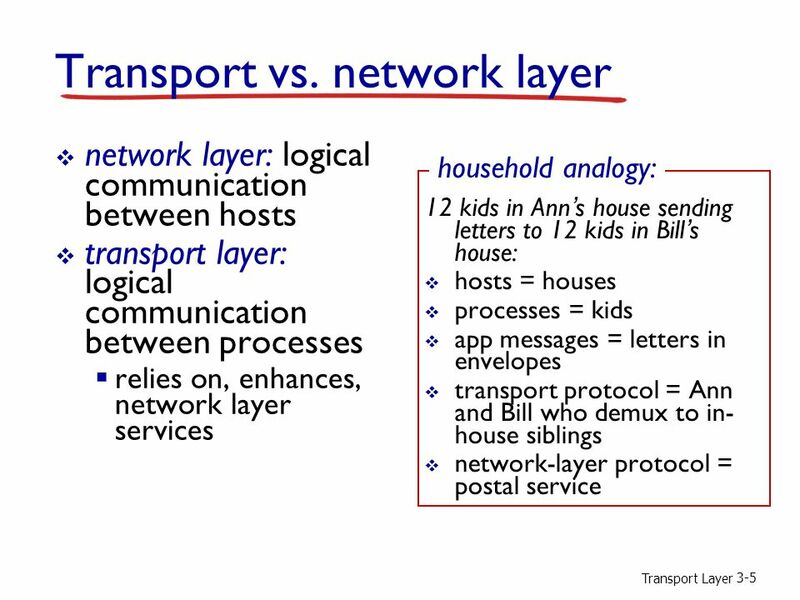 Introduction to Transport Layer. 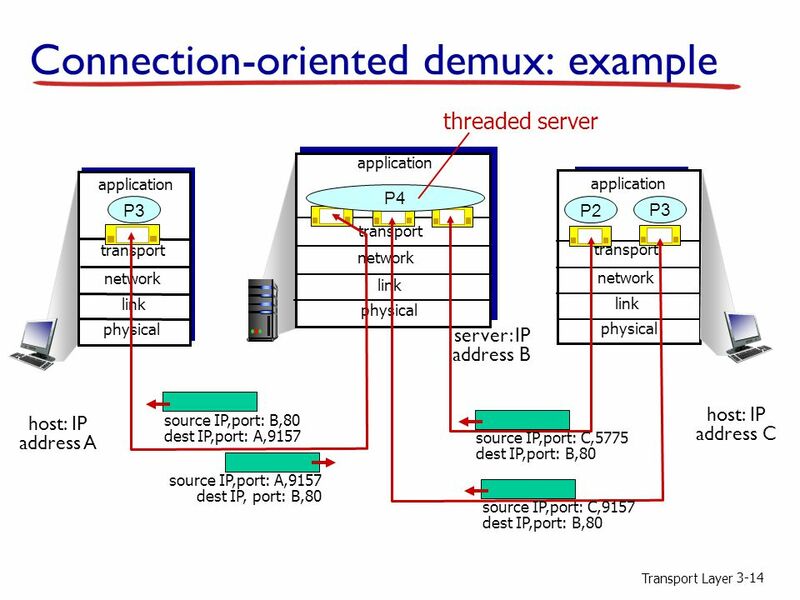 Transport Layer: Motivation A B R1 R2 r Recall that NL is responsible for forwarding a packet from one HOST to another. 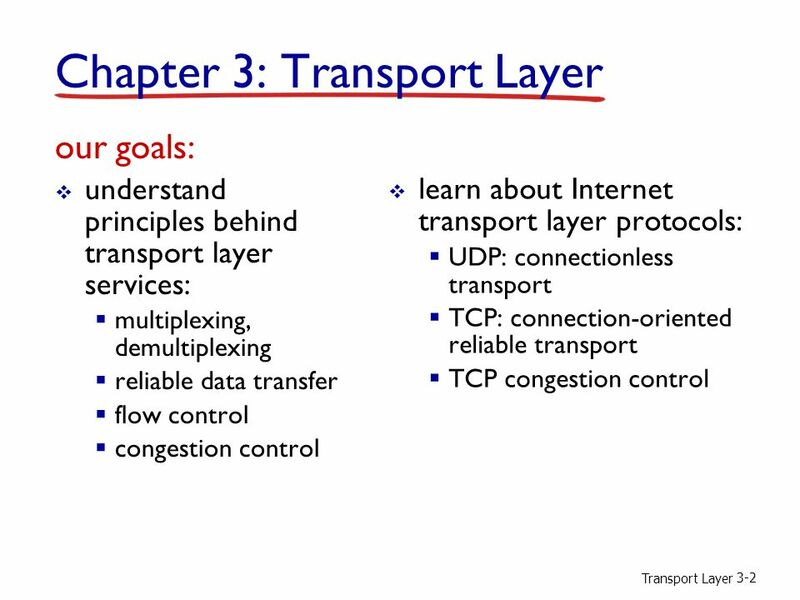 Transport Layer3-1 Transport Layer Our goals: r understand principles behind transport layer services: m multiplexing/demultipl exing m reliable data transfer. CPSC 441: Intro, UDP1 Instructor: Anirban Mahanti Office: ICT Class Location: ICT 121 Lectures: MWF 12:00 – 12:50 Notes. 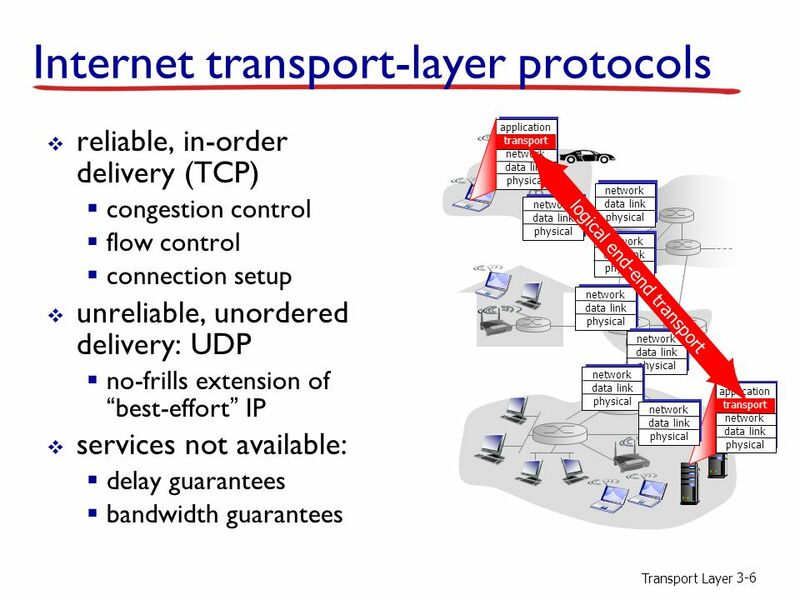 1 Internet transport-layer protocols r reliable, in-order delivery (TCP) m congestion control m flow control m connection setup r unreliable, unordered.